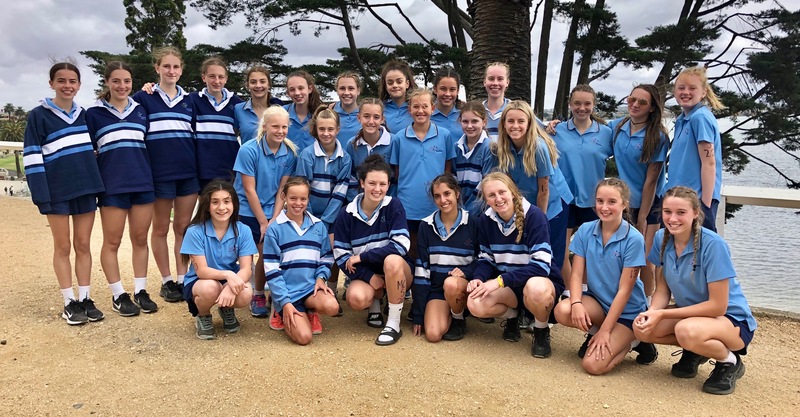 It was an early 6am start on Tuesday 19 February, as 27 girls made their way to Geelong for the first SCSA sporting event for the year, the Triathlon. Spirits were high as we arrived at Eastern Beach, with all the girls keen to hit the ground running! Seniors were first to race with Emily Du Vallon, Phoenix Whitty and Kirsten Andrich making a strong finish within the first top 20 places. The Intermediates and Juniors worked hard in their division completing a 300 swim, 4.5km bike ride and a 2km run. Tired after a big day the girls never stopped smiling and were proud of all their efforts. Overall, Mater Christi placed 4th with the Seniors placing 3rd, Intermediate 6th and Juniors 5th. Well done to all on an amazing start to sport for the year!